Even when you work from home, it’s important to have your own workspace or office, which is separated from the rest of the living areas. Still, it’s sometimes hard to have that, especially when living small. 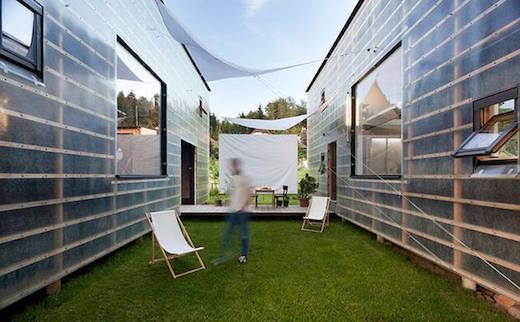 But architect Petr Stolín from the Czech Republic came up with a very clever way to achieve this work/living separation. His so-called Zen Houses are made up of two volumes, one of which is used just for working, while the other for living in. He was inspired by the simplicity and minimalism of traditional Japanese architecture in creating them, hence the name. 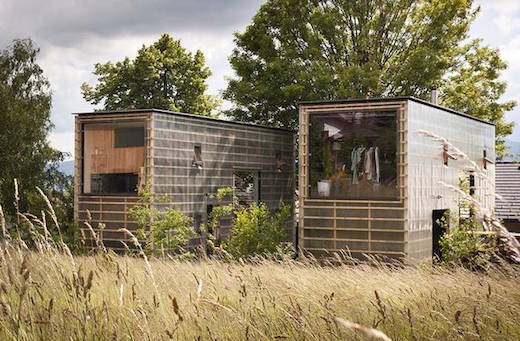 Each volume of the Zen House is 9.8 ft (3 m) wide and they are made from simple and, for the most part, recyclable materials such as chipboard, wooden beams, plywood, raw metal and rubber. 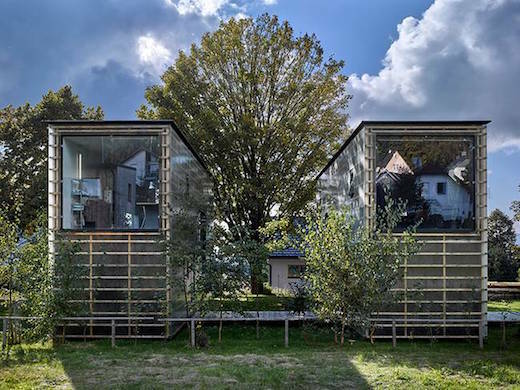 The two volumes are clad in transparent acrylic panels. The interior is also very Zen-like. 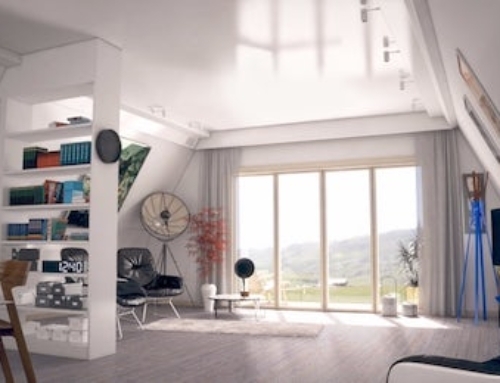 The office part of the home is all painted white, which has a calming, energizing effect, while the living part of the home is done up mostly in black, which is intended to promote rest and relaxation. It reminds me of the ying and yang concept, which might have been part of the architect’s intention when choosing the color scheme. 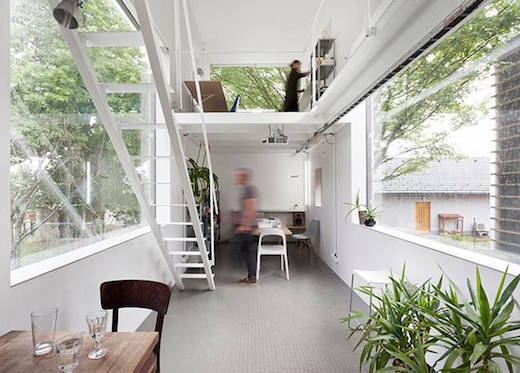 Both the volumes have a mezzanine level, which increases the floor area of the spaces yet still keeps the interior open. The two volumes also feature large windows, which links them visually. They are connected by a wooden deck, and this area between the two volumes is perfect for outdoor lounging. Having your home office this clearly separated from your living spaces is a dream from many freelancers and work-from-home entrepreneurs. It’s hard enough to leave the job behind at the end of the day, and when you work from home, this becomes even harder. 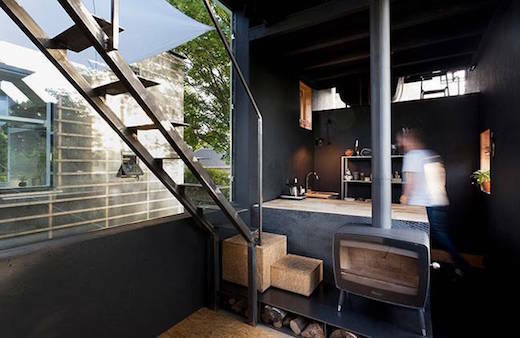 And the overall design and color choices for this home are in themselves very inspiring. The better the environment, the better the work. Thanks for this great write up, Christine! Definitely sharing!